Surrounded by National Forest at an altitude of 8,650 feet in the Rocky Mountains, the Sundance Lodge & Cafe offer breathtaking scenery framed by the magnificent panorama of the Continental Divide. 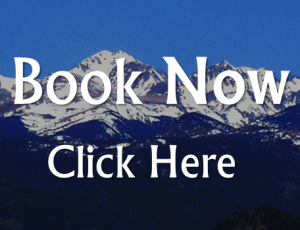 The Lodge is on the Peak to Peak Scenic Byway, 30 minutes from Boulder and 1 hour from Denver. The Sundance Lodge boasts twelve individually decorated, cozy and comfortable rooms featuring free Wi-Fi, Direct TV, and personalized service. Only 10 minutes from Eldora Mountain Ski Resort, and nearby hiking and biking trail, the Lodge offers an ideal and economical place to relax after a day of awesomeness. 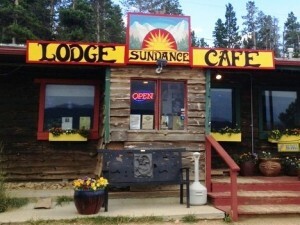 The Sundance Cafe serves incredible breakfasts, lunches and dinners and invites you to enjoy wine, beer and cocktails in its welcoming lounge with views of the Continental Divide and Eldora Mountain Ski Resort. The Sundance Mountain View Event Center, with its incredible views, is available for weddings, reunions, family gatherings, private parties, meetings, conferences and other private or business functions. Please call or email the Lodge for information. Please visit us! Near-by activities include winter sports (downhill and cross-country skiing, snow-shoeing), summer sports (hiking, mountain biking, fishing in mountain streams and lakes), shopping and sight seeing in the Town of Nederland, scenic drives along the Peak to Peak Scenic Byway (Hwy 119) to Rocky Mountain National Park and the gaming meccas of Black Hawk and Central City. Welcome to Winter at the Sundance! Welcome to the Sundance Lodge! Be a preferred customer. Subscribe to our quarterly newsletter. Receive special offers! Partial cloudiness early, with scattered showers and thunderstorms in the afternoon. High 64F. Winds ESE at 5 to 10 mph. Chance of rain 40%.